On July 21st we leave for seven months to go to Australia and New Zealand. 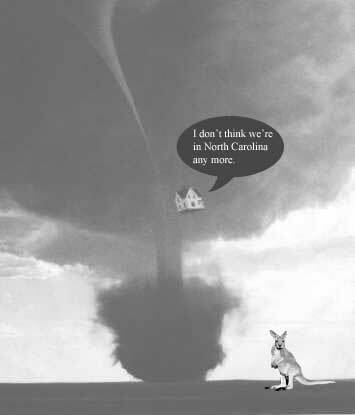 Australia is often referred to by Australians as Oz. It's sort of a long story about a magazine and satire, but basically it's a pun for the first syllable of the word and also because Australia encompasses the marvel, magic and grandeur of the fictional land of Oz. Because of this, the song Somewhere Over the Rainbow instills a sense of national pride in Aussies sometimes. If you've seen Australia with Hugh Jackman all of this will make a bit more sense. We will be houseswapping with two Australian families, and in New Zealand we will just be staying in hotels, baches, and bed and breakfasts as we tour the North and South Island. 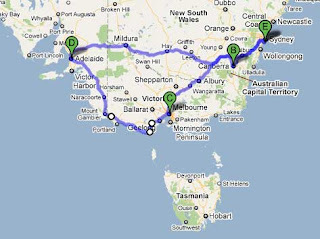 For those of you not familiar with the geography of Australia (I wasn't particularly knowledgeable myself before we started planning this) I wanted to show you some maps of where we will be going and staying. For the first month, we will be in Cronulla, New South Wales, which is a suburb of Sydney. We'll be there for about two weeks and then spend another couple of weeks exploring the southern part of Australia, including Canberra, the nation's capital, and Melbourne and Adelaide then driving back across the bush. I don't think there it is technically the Outback yet. Here's a rough map of our journey. After the first month, we are going to be in Hervey Bay, Queensland for 5 months. 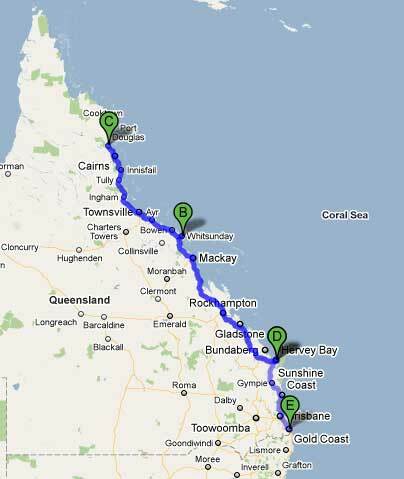 While we are in Queensland we are taking two more road trips. One to snorkel the Great Barrier Reef and see Daintree Rainforest in the far north of Queensland and another to the Sunshine Coast to see Surfer's Paradise and go to their version of Disneyworld (five amusement parks in one place). We're sort of amusement park nuts. Here's a map marking Hervey Bay and our trips north and south from there. Hervey Bay is marked "D" and our trip north is to Airlie Beach/Whitehaven Beach "B" for snorkeling and sailing up to Cairns/Port Douglas/Daintree Rainforest "C" and back to Hervey Bay. Our second trip is much shorter, just "D" to "E" Surfer's Paradise. After Australia we will spend our last month doing a quick tour of New Zealand. We fly into Auckland and then cover most of the North and South Island and come back up to fly back out of Auckland. I won't map our journey there, because there are just too many stops. We arrive back home on February 18, 2012.